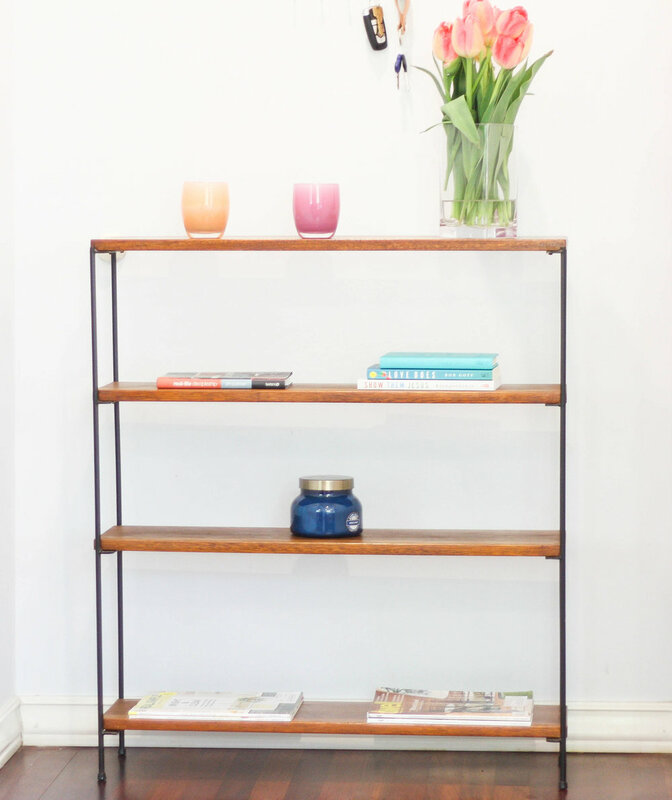 As beautiful as it is simple, this vintage four-tier walnut and iron bookshelf is begging to show off some of your favorite decor pieces and books. Very reminiscient of Paul McCobb or Vista of California iron pieces from the same era, but we have not yet been able to determine the provenance of this piece. 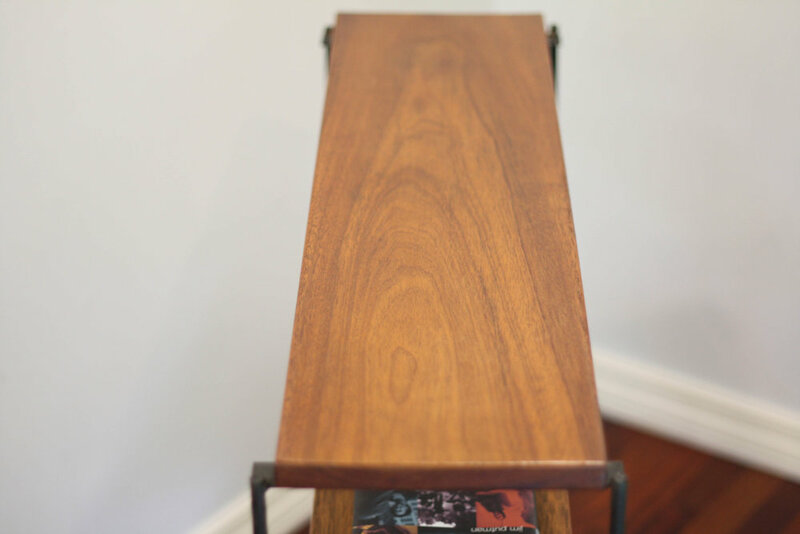 Solid walnut shelves mean that even if you stain or scratch a shelf in the future you can sand and oil to make new again. No veneer to chip gives you peace of mind. Black iron leg base has a wonderful aged patina. Shelves can be removed and the two sides can be placed together to make shipping this very economical. As is the case with any piece there will be imperfections to the wood and iron, like small scratches or dings. No cracks, breaks, or missing corners.